Research Guide - Colt Manufacturing Co.
Research Guide – Colt Manufacturing Co.
Samuel Colt’s invention of a gun that would fire multiple shots without reloading greatly transformed the firearms industry. A native of Hartford, Connecticut, Colt first opened a firearms factory in Patterson, New Jersey in 1836. As the Mexican War progressed in the 1840’s, demand for Colt’s revolver grew. By 1855, Colt was back in Hartford with a new factory along the banks of the Connecticut River in an area known as the South Meadows. It was here that “the gun that won the West,” a popular slogan referring to the Colt .45 Peacemaker, was manufactured. The renowned Colt Firearms Collection is on permanent display in the Museum of Connecticut History. In addition, the State Library and State Archives hold numerous items of interest to those researching Samuel Colt and the Colt’s Patent Fire Arms Manufacturing Company. While this finding aid is not intended to be an exhaustive checklist, it should provide you with an overview of the wide variety of such materials available. 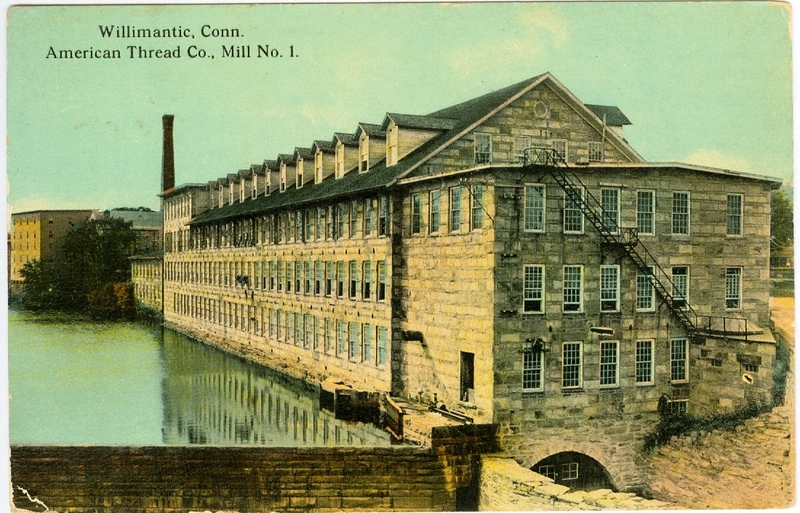 You may also wish to refer to our Research Guide to Materials Relating to the History of Industry and Commerce at the Connecticut State Library or locate additional materials through the State Library catalog. Please note: Many of these materials are housed in the State Archives and the Museum of Connecticut History. Materials designated as “Archives,” “Manuscripts,” or “SpecColl” are subject to the Rules and Procedures for Researchers Using Archival Records and Secured Collections Materials. These items, as well as items designated “SL Museum,” may not be available on a same day basis. Selected items of interest are listed below. For additional titles, researchers should check the State Library catalog. Barnard, Henry. Armsmear: The Home, The Arm, and The Armory of Samuel Colt: A Memorial. New York: Alvord Printers, 1866 [CSL call number TS 533.3 .C8 C64 1866]. Colt family: History and Genealogy Unit Special Genealogical File, Connecticut State Library [CSL call number HistRef SpecGen. File: Colt]. Edwards, William B. The Story of Colt’s Revolver: the Biography of Col. Samuel Colt. Harrisburg, PA: Stackpole Co.,  [CSL call number TS 535 .E3 1953]. Grant, Ellsworth. The Colt Armory: A History of Colt’s Manufacturing Company, Inc. Lincoln, RI: Mowbray Publishers, 1995 [CSL call number TS 534.5 .C6 .G72 1995]. Grant, Ellsworth. The Colt Legacy: the Colt Armory in Hartford, 1855-1980. Providence, RI: Mowbray Publishers, 1982 [CSL call number TS 534.5 .C6 G73 1982]. Hart, Samuel. In Memoriam: Samuel Colt and Caldwell Hart Colt. Springfield, MA: [s.n], 1898 [CSL call number TS 533.3 .C8 H37 1898]. Hosley, William. Colt: The Making of an American Legend. Amherst, MA: University of Massachusetts Press, 1996 [CSL call number Museum TS 535 .C6 H67 1996]. Jones, Edward Payson. Descendants of John Coult: Who Sailed from England and Arrived in America September 4, 1633, also Ancestral Line from Roderick Bissel Jones and Edward Payson Jones Jr…., also 47 Connected Generations of Kings, Emperors. 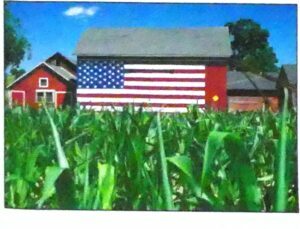 Winsted, CT: E.P. Jones, 1934 [CSL call number CS 71 .C716 1934]. Kellner, William L. “On Samuel Colt and the Patent Arms Manufacturing Company of Paterson, New Jersey.” MA Thesis, Fairleigh Dickinson University, 1969 [CSL call number HD 974 4 .F554 P38 1969]. Mitchell, James L. Colt: A Collection of Letters and Photographs About the Man, the Arms, the Company. Harrisburg, PA: Stackpole Co., 1959 [CSL call number TS 535 .C6 M5 1959]. Rohan, Jack. Yankee Arms Maker: The Incredible Career of Samuel Colt. New York: Harper & Brothers, 1935 [CSL call number TS 535 .C6 R6]. Rosa, Joseph G. Colonel Colt, London: The History of Colt’s London Firearms, 1851-1857. London: Arms and Armour Press, 1976 [CSL call number SL Museum TS 533.4 .G7 R67 1976]. Rywell, Martin. Samuel Colt: A Man and an Epoch. Harriman, TN: Pioneer Press, 1952 [CSL call number TS 535 .C6 R9 1952]. Wilson, R. L. The Book of Colt Engraving. Los Angeles, CA: W. Beinfeld Publications, 1974 [CSL call number Museum TS 537 .W518]. Wilson, R. L. The Rampant Colt: The Story of a Trademark. Spencer, IN: T. Haas, 1969 [CSL call number Museum TS 533.2 .W56 1969]. Bady, Donald B. Colt Automatic Pistols, 1896-1955. Beverly Hills, CA: FADCO Publishing Co., 1956 [CSL call number Museum TS 537 .B3]. Brown, David M. The 36 Calibers of the Colt Single Action Army. Albuquerque, NM: n.p., 1965 [CSL call number Museum TS537 .B78]. Checklist of Manufacturers Catalogs. This list of manufacturers catalogs is cross-referenced by both product name and company name. The list includes catalogs held by institutions other than the State Library and Archives and Museum of Connecticut History. A copy is available at the History and Genealogy Information Desk. Colt’s Patent Fire Arms Manufacturing Co. Colt’s 100th Anniversary Fire Arms Manual, 1836-1936. Hartford: Colt’s Patent Fire Arms Mfg. Co., 1937 [CSL call number Museum TS535 .C55]. Graham, Ron. A Study of the Colt Single Action Army Revolver. Dallas, TX: Taylor Publishing Co., 1976 [CSL call number Museum TS537 .G7]. Haven, Charles T. A History of the Colt Revolver, and the Other Arms Made by Colt’s Patent Fire Arms Manufacturing Company From 1836 to 1940. New York: W. Morrow & Co., 1940 [CSL call number Museum TS 535 .H3]. Parsons, J. E. The Peacemaker and its Rivals; An Account of the Single Action Colt. New York: W. Morrow & Co., 1950 [CSL call number Museum TS 537 .P3]. Phillips, Philip R. Patterson Colt Pistol Variations. Dallas, TX: Jackson Arms, 1979 [CSL call number TS537 .P48]. Serven, James Edsall. Colt Firearms, 1836-1960. Santa Ana, CA: Serven Books, 1960 [CSL call number TS 535. S456 1960]. Virgines, George E. Saga of the Colt Six-Shooter and the Famous Men Who Used It. New York: F. Fell, 1969 [CSL call number TS 537 .V56 1969]. Wadsworth Atheneum. The Arms Collection of Colonel Colt. Bullville, New York: H. Glass, 1964 [CSL call number Museum NK 6902 .H3 W3]. Wadsworth Atheneum. Samuel Colt Presents: A Loan Exhibition of Presentation Percussion Colt Firearms, Wadsworth Atheneum, Hartford, 3 November 1961 to 14 January 1962. Hartford: Wadsworth Atheneum, 1961 [CSL call number NK 6912 .W3 1961]. Whittington, Robert D. The Colt Whitneyville-Walker Pistol: a Study of the Pistol and Associated Characters, 1846-1851. Hooks, TX: Brownlee Books, 1984 [CSL call number Museum TS 537 .W42 1984]. Wilson, R.L. and Robert Q. Sutherland. The Book of Colt Firearms. Kansas City, MO: n.p.,  [CSL call number Museum TS 534.5 .S92 1971]. Wilson, R. L. Colt Commemorative Firearms. Wichita, KA: C. Kidwell, 1969 [CSL call number Museum TS 537 .W52 1969]. Wilson, R. L. The Colt Heritage: The Official History of Colt Firearms, From 1836 to the Present. New York: Simon and Schuster, 1979 [CSL call number TS 533.2 .W54 1979]. Wilson, R. L. Colt Pistols, 1836-1976. Dallas, TX: Jackson Arms, 1976 [CSL call number Museum TS 537 .W523 1976]. Wilson, R. L. The Evolution of the Colt: Firearms from the Robert Q. Sutherland Collection. Kansas City, MO: Robert Q. Sutherland, 1967 [CSL call number Museum TS 537 .W5]. Wilson, R. L. The Paterson Colt Book: The Early Evolution of Samuel Colt’s Repeating Arms. Palo Alto, CA: Strutz-LeVett Publishing Co., 2001 [CSL call number Museum TS 533.3 .N5 W55 2001]. The State Archives collects and preserves records from state agencies and private individuals relevant to Connecticut’s history. Business and company records in the State Archives pertaining to the Colt Patent Fire Arms Manufacturing Company can be found in Record Group (RG) 103. In addition, Picture Group (PG) 460 contains photographs and sketches of the company. Finding aids that offer a detailed description of these records are available. Certain Rules and Procedures apply to those interested in examining these items. Materials may not be available on a same day basis. Please see the Guidelines on the Use of Offsite and Secured Collections. RG 103, Records of Colt’s Patent Firearms Manufacturing Company, 1826-1979. 72 c.f. The records of Colt’s Patent Fire Arms Manufacturing Company document gun manufacturing at the armory and the company’s subsidiaries, together with outside contracting activities. The bulk of the records cover the years 1840-1890. RG 103 has series of financial and accounting records, business correspondence, orders for arms, tests and reports, production records, and business files. It includes records of the Gatling Gun Company, London Armory Agency, and Union Ferry Company. The record group also includes the Richard C. Marohn Collection (1871-1934) of sales books, account ledgers and cash books, and business files. PG 460, Photographs and Sketches of the Colt Patent Fire Arms Manufacturing Company, ca. 1864-1926. 425 photos, negatives, prints, catalogs, drawings. 2 c.f. Includes views of the factories, portraits of employees, inventors, firearms, gun manufacturing equipment, mechanical drawings and advertisements. RG 6:34. Certificates of Adoption of Trademarks, 1880-1961. An index to the Certificates of Adoption of Trademarks is available for use in the History and Genealogy Reading Room. The index is arranged alphabetically by product name. The Certificate of Adoption of Trademark of the Rampant Colt can be found in Box 9. A collection of approximately 1000 photographs, prints, drawings and negatives of the city of Hartford. Box 3 includes views of Colt’s Patent Fire Arms Manufacturing Company. PG 440, Collins Photograph Albums of Hartford. Album 3 contains 24 views of the 1938 flood at the Colt’s Patent Fire Arms Manufacturing Company and vicinity. PG 510, James Britton’s Notable Men in Connecticut History Portrait Series. A collection of 84 original crayon portraits by James Britton II which appeared in the Hartford Courant, June-October 1935, as a series entitled “Notable Men in Connecticut History”. A drawing of Samuel Colt is included. Use photocopies of these drawings can be found in the PG 510 Register. Ask at the History and Genealogy Unit Information desk. Alvord Letters, 1852-54, 1862, 1863 [CSL call number Main Vault 920 AL98]. 15 letters. See in particular: George Alvord from London, 1852-54, relating to the Colt Factory in London. Chickering, Samuel G. Letters to Ellis and Emily Chickering, 1862-63, from Samuel G. Chickering working in the Colt Gun Factories in Hartford, and Yonkers, N.Y. [CSL call number Main Vault 920 C432]. Tilley, R. Hammett. [Letter from R.H. Tilley to Mrs. Samuel Colt, in which she agrees to call on her and meet her at the Newport Historical Society…July 1, 1895] [CSL call number Main Vault 920 T46]. The History and Genealogy Unit of the Connecticut State Library holds a number of genealogical indexes to births, marriages, deaths, and burials; federal census records for Connecticut; early land records for all of Connecticut’s 169 towns; and probate records for most districts in Connecticut. Researchers should check the State Library catalog for additional materials, but a few examples are given below. Maps are helpful for those interested in the physical location of the Colt Estate and Manufacturing Company. City directories may include advertisements for Colt’s, listings of its officers, and names of those working in the factory. Colt, Samuel. Map of Lands and Improvements Upon the South Meadows Belonging to Colonel Samuel Colt, June 4, 1856. This map is among Samuel Colt’s probate estate papers. [Hartford Probate District Probate Files, 1641-1880, Colt, I – Cook, J, CSL film number 495, LDS film number 1021226]. City of Hartford, Map of the 4th Ward. A map in color showing an outline of Colt’s estate and the Manufacturing Company. [CSL call number HistRef Map Case 912. 7462 H 2593f]. City Directories of the United States. Hartford, CT. 1861/1862-1960. These directories are on microfilm in the History and Genealogy Unit Reading Room. The films are arranged alphabetically by town [CSL call number HistRef F104 .H33 C5]. Sanborn Fire Insurance Maps. Hartford, 1885-1950. 3 rolls. Sanborn Maps are helpful for those researching the industrial sections of cities. The Colt Patent Fire Arms Manufacturing Company is shown on many of the Hartford maps. [CSL call number HistRef 912.746 Sa55 Mfilm]. The Connecticut State Library holds an extensive collection of Connecticut newspapers. Researchers interested in articles and advertisements on Colt’s Patent Fire Arms Manufacturing Company may want to investigate the Hartford Daily Courant, which is available on microfilm. The Newspaper Microfilm Room is arranged alphabetically by town and then by the title of the paper. For the most part, the newspapers are not indexed, so researchers should have a specific date or time period in mind. In addition, there is a file on Samuel Colt in the History and Genealogy “Biography” vertical file. Portrait of Samuel Colt: PG 460, Box A, Portraits, Individuals. Onion Dome: PG 460, Box B, Views of Factory, Exterior. Colt’s Frontier Six Shooter: PG 460, Box C, Revolvers and Pistols. Engraved Pistol to Horace Greeley: PG 460, Box C, Revolvers and Pistols. 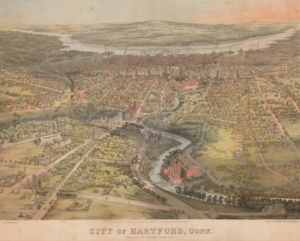 Map showing Colt’s Estate: City Atlas of Hartford, Conn. G.M. Hopkins, Philadelphia, 1880. [CSL call number HistRef Map Case 912.7462 H25h]. Advertisement of Colt’s Patent Fire Arms Mfg. Co.: Geer’s Hartford Directory, Including West Hartford and East Hartford, Connecticut…..September, 1921. Hartford Printing Company, 1921-1927 [CSL call number F104 H33 C5].